Jack Fincham denies Dani moved out following his cocaine binge | SHEmazing! 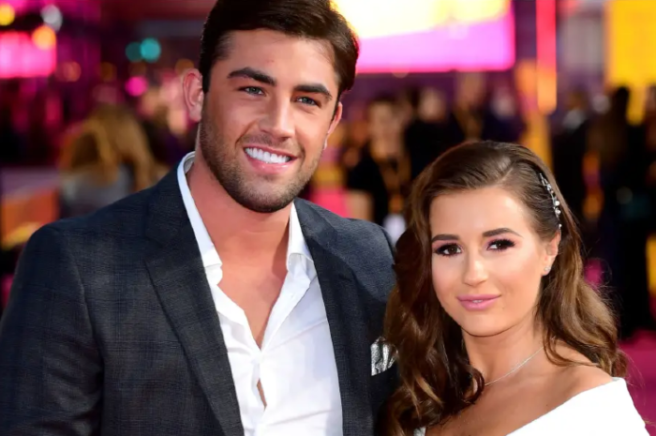 Jack Fincham and Dani Dyer have both opened up after The Sun reported that the pair were now living separately following Jack's cocaine binge. The Love Island couple have been through their fair amount of drama, but now it's heightened as Jack admits to taking a class A drug on a weekend with friends. Dani's mother Jo was seen hauling a suitcase out of the duo's house in images obtained by the publication, with a source claiming that Dani and her family were "furious" at Jack. I can’t believe I’m commenting on a paper but when my family are constantly brought up I can’t bare it. MY family have done nothing but always love and support jack through good times and bad. So don’t send me messages and judge something you know nothing about! She took to Twitter to dissipate the claims, saying, "I can’t believe I’m commenting on a paper but when my family are constantly brought up I can’t bear it. MY family have done nothing but always love and support Jack through good times and bad." She concluded, "So don’t send me messages and judge something you know nothing about." "Please don’t read everything you read , I love Dani and her family and me and Dani are fine we love each other , it’s a shame that this has been written as it’s so untrue." He later clarified that he'd meant to say "don't believe everything you read". The 27-year-old told The Sun the other day that. "I'm in a new world of partying and stuff, and being in circles that I would never normally have been in." He continued; "I'd never normally be in these situations but, yes, since winning the show I have been offered cocaine a lot." "But I went out all night, I was drinking and I just got carried away and made a stupid, stupid mistake which I wish I'd never done, you know. I regret it." Jack and Dani are doing just fine, judging by their tweets.